This entry was posted on Thursday, March 12th, 2009 at 8:04 pm and is filed under Housing, On the News, Singapore Watch ver 2.0. You can follow any responses to this entry through the RSS 2.0 feed. You can leave a response, or trackback from your own site. I am single and above 36 yrs old, gross monthly salary is $2900 (take home pay around $2250) and monthly expenses average $2000. 01. Can I buy new flat if I decided to stay by myself ? a. Is there any HDB grant that I can apply ? b. If yes, is there any diff in grant if the resale flat to be purchased is near or not near to my parent ? 03. What is the estimated HDB loan if I buy a reslae flat ? 04. I have the interest to buy a resale flat near Ang Mo Kio HUB. Frankly speaking, is now really a good time to buy while the property is high ? 05. How would I know if a flat is going to on-block ? 06. Where can I buy HDB 3NG that cost less than $200k ? 1) No you can’t buy a new flat. Resale only. a) Yes you can apply for the singles grant ($11k). If your parents do not own a flat, you can get the higher-tier singles grant ($20k) if you intend for your parents to live with you. Read this site for more details. b) No. Living near parents provide no extra grants. Unless they don’t own a flat now, and you intend to stay with them, as mentioned above. 3) Apply for a HLE. It’s free. HDB will let you know exactly how much loan you are eligible for. Since your gross salary is $2900, u shld qualify for a HDB loan. All you need is 10% downpayment payable thru CPF, and cash for the Cash-over-valuation (COV) asked by the owner of the resale flat. I’m guessing with your current pay, about $380 gets credited to your CPF Ordinary Account each month. You can use all of this money to service your loan. Based on that, the maximum loan you should take up is $90,000, 29 year loan. Any loan larger than that means you have to fork out cash for your flat. I understand you have $250 cash every month after deducting your monthly expenses. If you intend to use that for your mortgage, then you can take up to $150k in loan. I don’t advise it though. Stick to using your CPF OA contributions to servicing your mortgage. Either way, unless you have a lot of money in your CPF Ordinary Account, you might not be able to afford a 3 room flat. If that’s the case, you might want to consider a 2 room instead. 4) AMK 3NGs are all over $200k. As to whether it’s the right time to buy, it’s always the right time if you need a roof over your head. Nobody knows how prices will go in the future. HDB flat prices hasn’t dropped at all during this recession, when private housing prices have. But yet at the same time, it’s possible that with more new HDB flats being build now, and entering the market 8 years down the road, prices might ease. But can you wait 8 years for these new flats to enter the resale market? 5) You don’t. En blocs are not publicly announced, till it happens. However, some neighbourhoods like commonwealth already have 2 enblocs, so you can kinda guessed that sooner or later, all the flats there will be enbloc. But which flats are next? Your guess is as good as mine. 6) Currently, 3NG less than $200k, try woodlands, jurong west. Check out online property sites (try Nation Property to get a better idea of asking prices. Not sure if this is the right place to post but I would like to ask you some questions. I am currently 22 years of age, my parents are both 60 and 54. we sold our 2 room flat about 3-4 years ago. they have loaned from HDB for twice already but recently i called and ask they said they only can see one of the loans in their system? I wonder if this could be a glitch in their system. But anyway I have sent in the HLE and still waiting for the response i will probably call them tomorrow and check on the status. The question i have is right now we are still waiting for our rental flat from HDB (Currently staying with sis), I have been thinking about buying a property perhaps 2 or 3 room. But repaying the loan seems tedious (Even more if its from bank), so i would really sincere if you could give me some advice as I am quite stucked on in this situation. I am curious how they can have taken 2 loans, when the last flat was just a 2 room flat. Was their first flat a one room flat? Anyway, If the system says 1, then that’s all that matters. With their age, and having sold their flat more than 30 months ago, they might actually be eligible to purchase a studio apartment straight from HDB. Perhaps you could consider this? It’s essentially a “2-room flat”, but with a 30 year lease, meant for retirees. Because of the shorter lease, such flats are usually a lot cheaper. Alternatively, if you qualify for a rental flat, take it! It’s the cheapest form of housing you can ever get in Singapore. I’m assuming you intend to buy the property with your parents? As long as you buy a 3 room or bigger, should be able to get another HDB loan. Although, it might not be wise, as if you intend to get married in future and get your own flat, removing your name from the lease would be complicated, and you might not be eligible for grants. Also, your parents would then have to pay you back whatever you paid for the flat, especially if CPF money is involved. If you have to buy a resale flat now, the financial commitment would be tremendous. You would need a lot of cash as asking ‘cash over valuations’ now are high, not to mention, flat prices are very high too. 2-room flats which were asking for $180k just a year ago are now asking for $220k. I’m not sure if you’ll get a loan approval till you actually start work. Unless your parents have lots of CPF monies to spare, and unless you are NOT the only person paying the mortgage, I really wouldn’t get into this kind of commitment right now. 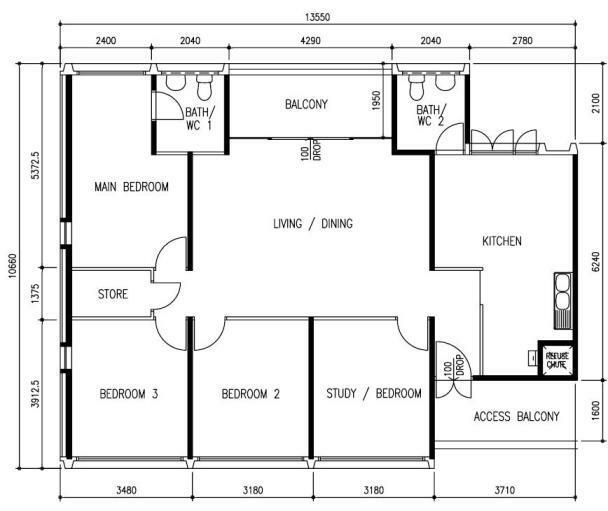 What does it mean by ‘Budget Flat’. I saw in the valuation report , 4 room Budget Flat. I honestly have no clue. It should be like 4A, 4std or something like that, not budget. apologies if im at the wrong place asking the below questions. any idea how many BTOs can i apply for at any one time? i.e. im thinking of applying for the dawson one this month.. and am also thinking of the hougang bto next month. Believe HDB will only allow 1 BTO application at any one time. This is to give a fair chance to everybody looking to own a new flat. You can submit multiple BTO applications but the latest application will be counted. Recently we applied for 2 BTO and received 2 queue numbers. Later we recieved letters to select our flat for both, one on 1 June and the other on 24 June. We went on 1 June for BTO-A, and were told that if we prefer BTO-B, we can choose to not select BTO-A now and wait to see if we still have a good selection for BTO-B on 24 June. Our application for A will not be cancelled unless we select a flat in BTO-B. And BTO-B will not be cancelled unless we select BTO-A. Which means we can actually choose between the both BTOs, just that we will have to take the risk that BTO-A flats are being taken up between 1 June to 24 June. So it’s not quite as fair as it seems..
May i know if the 2 BTOs are of the same launch (month), of the same flat type? What is the maximum age for the flat to declare as en bloc? Only HDB would know! En bloc doesn’t necessary happen to all old HDB blocks. You can look at this HDB page to find out recent transaction prices. Last HDB sale at Ave 9 was $280k in Dec09. You would need to pay stamp duty (1% of 1st $180k, 2% of next $180k, 3% for remainder), agent fees if you engage an agent (1%), Cash over Valuation (varies), 5%-20% down payment for bank loan (depending on whether your CPF can pay for 15%), and lawyer fees associated with your bank loan (if bank subsidized, can be up to $2k). i’m planning to rent direct from hdb with my fiance but seems like the only option available is a one-room flat. i’m a bit worried about the size and layout. 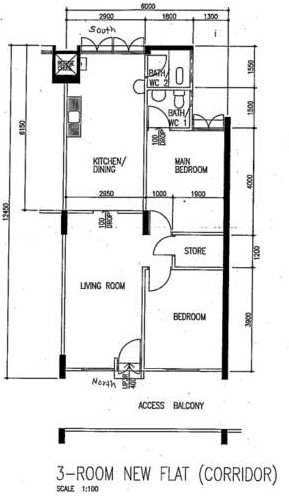 would it include a kitchen and bathroom in such a unit? if i’m not wrong i’m currently listed as an occupier in my dad’s 5-room flat. would it affect my application? If I’m singaporean and my spouse is holding long term social visit pass, can we still buy hdb resale flat? I am divorced and 25 yrs old with 2 children, gross monthly salary is $2700 (take home pay around $2200) and monthly expenses average $2000. 1. Can I buy 4 room HDB resale flat near my parent? 2. Is there any HDB grant that I can apply? 3. What is the estimated HDB loan if I buy a reslae flat? 4. How much cash do i have to pay? kow tow to web master. A very resourceful Bible! I am a SPR, planing to buy a resale flat. I heard there is new rule saying, If I have foreign property, canot buy HDB. Is that True? Can you please clarify. Yes it is true. If you intend to keep your foreign property, you cannot buy a HDB resale flat. However, if you really need a HDB flat, you can still buy one, but you must dispose of your foreign properties. I currently have a HDB flat. Can we buy another HDB flat in singapore without selling the old one? Thanks. We are PR. So you mean it’s possible to buy 2 resale HDB flats in singapore? thanks. Jenny: I am Singaporean and haven’t even got one HDB flat and you want to buy two???!!! Why are foreigners richer than Singaporean? Hey Justina , I’m a Singaporean age 31 , I currently own a HDB apartment and plan to get another 1 . So could you tell me if it’s possible for me to own more than 1 HDB flat under my name ? You can only own 1 HDB flat. If you intend to get another flat before selling your current flat, you can, but have to dispose of the old flat within 6 months of getting the keys to your new flat. recently got married and looking for a HDB. our monthly income is around 4000. we’re looking for a 2room HDB/studio appartment. i would like to know the average price, the cash on hand we need before being resonably capable of getting a simple small HDB home. both of us are singaporeans, 23 years of age. Try checking the prices of recently sold HDBs at HDB’s Resale Flat Prices. If you are unsure which estates have cheaper 2 room flats, check out Chapter 5 on this page as a guide. The prices are outdated, but the areas with the cheaper flats should still be the same. Expect to pay COV in the 5 figures though. I am going to plan a marriage, looking for a HDB. But our combined income is around $7000. We are interested in the re-sales of balance flat near the city area which cost around $560,000 for a 4-room apartment. How much loan can I get from HDB, do I get 90% of the flat amount after subtracting grant and 10% downpayment? Yes you can get a 90% HDB loan. I don’t think you are eligible for any HDB grants with your income bracket though, so the remaining 10% will have to come from your CPF, and if your CPF is not enough, you have to top up with cash. if the flat is within 2km from my parent’s hdb flat, am I still eligible for the grant? At this moment, I have worked for 2 years, with an income of $3000. While my fiancé only started working this year in june with an income of $4000. If we average out the household income over the last 12 months on the time which I apply (which is in september 2011), the average household amount is less than $5000. Is this valid? Do they count your date of application from the time you apply online for a chance to ballot? Staying within 2km from your parent’s flat doesn’t make a difference for new flats. If it’s a resale flat, then yes you have additional grant. You may be eligible for the Additional Housing Grant if they take the average. To be sure you should check with HDB. suggest that you save up more before comitting any purchase regardless of how good the location or price!!! including BTO. how much do u mean is enough before purchasing? I’ll right away seize your rss as I can’t find your e-mail subscription hyperlink or newsletter service. Do you have any? Please allow me know so that I could subscribe. Thanks. hi there! i’m just wondering, will $3000 basic per month be enough to get a 5-room flat? we’ve applied for a BTO in punggol back in 2008 with a price tag of $371k & we’ll be getting our keys very soon. however, i’m currently unemployed so e income is coming solely from my hubby’s side. someone told me that hdb might not release e keys to us if the wages are not enough. 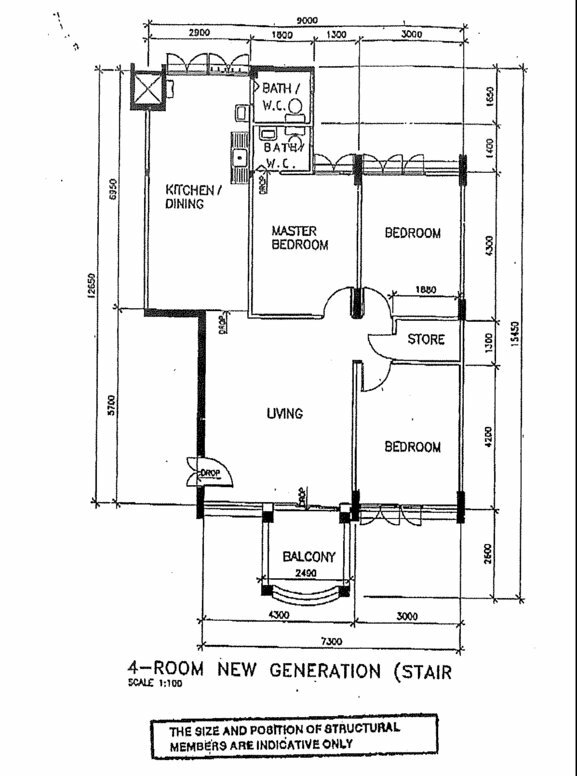 I found a 3 room HDB price tag $275,000.00, released 1984. Do you reckon an unemployed could buy it? I have a savings of 20K and 50k CPF. and I could probably get a job of $3k per month. I am still thinking if there’s any possibility of selling our family home in Australia, which is 400sqm, has a front and backyard and is valued only at about $340k as compared to the 3 room HDB, move my husband’s parents to nursing homes so that we qualify to buy the HDB and to move into a 67sq m 3 room HDB valued at $275k and have some money left after the stamp duties and stuff and still live comfortably for a while with my baby boy in Singapore. I see! So a 5A or a 5 room hdb flat actually have 3 bedrooms only. I thought the agent cheated me when he brought me to a 3-bedroom house when he said 5 room house. 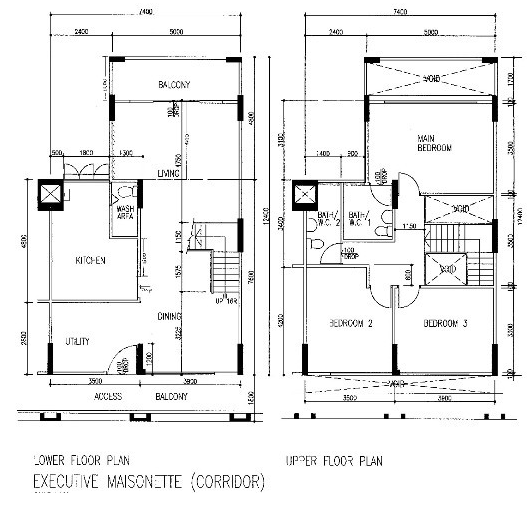 I plan to buy for my parents (both in their 80) a new 3 room HDB flat direct with HDB. I know they cannot get any loan because of their age and I intend to pay for them in cash or personal loan on my side. I like to know if they are entitled to any grant from HDB or CPF for new flat. This is the first flat they are buying from HDB. They have never purchased any property in their life. 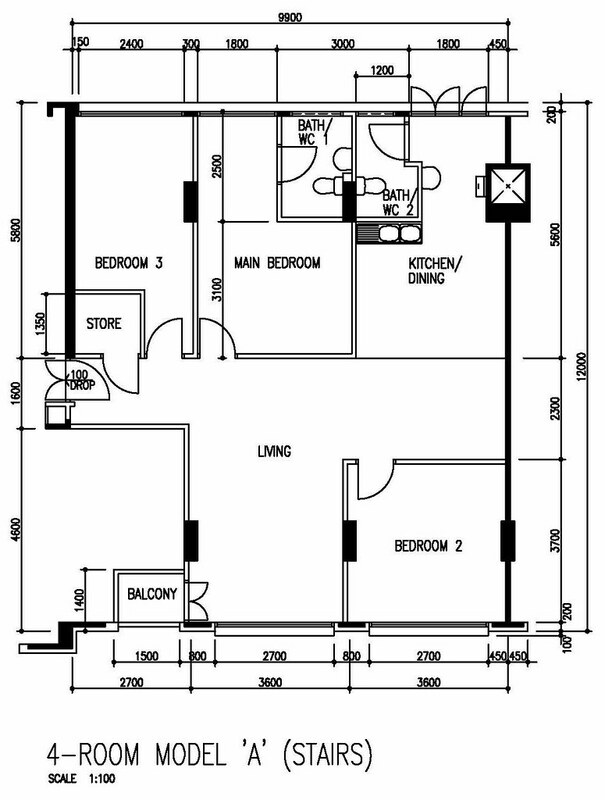 BTW, what do you think of a Studio Apartment? Is it worth it? The lease is only for 30 years and cannot be sold in the open market. I had order the BTO on Janaury 2009 and buy a foreign property April 2009. Should i dispose my foreign property ? I new rule started on Yr 2010, is it affect the previous application ? Actually, even if you ordered your BTO back in Jan 2009, I don’t believe the rules back then would allow you to purchase a foreign property. Maybe if you want to keep your property, you can transfer the property to a family member, but keep your name on the bank loan to help service the mortgage. Otherwise, if HDB finds out, I think they will make you sell either your HDB or your foreign property. Just wanted to share that there is another category of HDB flats known as ‘Jumbo Flats’. What I understand from HDB is that the difference between the Miscellaneous type of flats mentioned in your informative article, and ‘Jumbo Flats’ is that ‘Jumbo Flats’ were constructed by HDB, and are NOT classified by HDB as the same as those that were converted by owners. HDB has stopped constructing such Jumbo Flats for a long time. P.S. I discovered this information as a result of client’s request to purchase a Jumbo Flat. I am single and 38 yrs old, gross monthly salary is $2100 (take home pay around $1700) and monthly expenses average $1000. I planning to buy resale HDB flat around Bedok North price around 300K. My CPF OA account around 70K. 01. Will I able to get HDB loan with my current salary? 02. How many years loan will it be if I manage to get HDB loan? I brought a resale EA 19 years ago , with first timer and near parent grant. If today I decided to buy another new HDB from the government, do I have to pay any levy and special cost. Or I am not allow to buy any more HDB new house but have only to Go to the the resale market. Appreciate you reply.